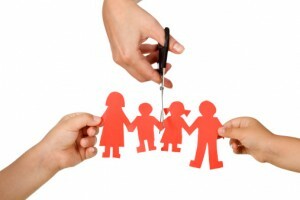 Blog What do family law solicitors do? The relationships within families are often complicated. Emotional distress, differences of opinion and arguments can lead to the eventual breakdown of those relationships, and the consequences for the entire family can be devastating. If you are in the midst of such a scenario, you may need the expert services of family law solicitors. But once you have found one you can trust, what issues can they deal with on your behalf? Perhaps the most distressing consequence of a relationship’s breakdown is the way in which it can affect the children. A family law solicitor will work with discretion and sympathy to ensure the best outcome for the well-being of your children. Whether that involves applying for a joint residence order, a contact order, or a prohibited steps order, your solicitor will talk you through your options and help you to make the right decision. If you and your partner are not married, you may not be automatically entitled to your fair share of assets. Cohabitation agreements can ensure that, should your relationship break down, you have a legal entitlement to a share of jointly funded assets. You and your partner may decide that the best way to work through your problems is to talk them through on a face-to-face basis. You will set the agenda for meetings and lead negotiations with the help of your family law solicitor. Your legal counsel will represent your legal rights, and step in if attempts at reaching an agreement fail. The legal complexities of filing for divorce can bewilder and confuse. By having a family law solicitor representing your interests, you can navigate the process more effectively and achieve an outcome that provides for your future. Whether you are defending your rights to a fair share of assets or fighting for custody of children, your solicitor will be there to guide you through each step of the legal process. While domestic violence is relatively rare in the UK, thousands of people still live in constant fear of assault and intimidation. No one should be forced to live this way, and that’s why enlisting the services of an experienced family law solicitor is so important. Not only will your solicitor provide you with a sympathetic ear, he or she will ensure that you can take the necessary legal steps to protect yourself and your family. Whether you are experiencing difficulties in your relationship or you’re currently separated, you may not be ready to take the final step of asking for a divorce. A trusted and experienced family law solicitor can arrange and preside over family mediation proceedings – providing a formal setting for the airing of differences and the search for compromise. They can deal with pre-nuptial agreements, grandparents’ rights and any issues that have the potential to end up in court. The legal framework for family law in the UK is complex and wide-ranging. Only by having the expert assistance of a family law solicitor at your disposal can you be sure that your interests are being represented effectively. Contact us today to see how Wiseman Lee can help you with your situation.